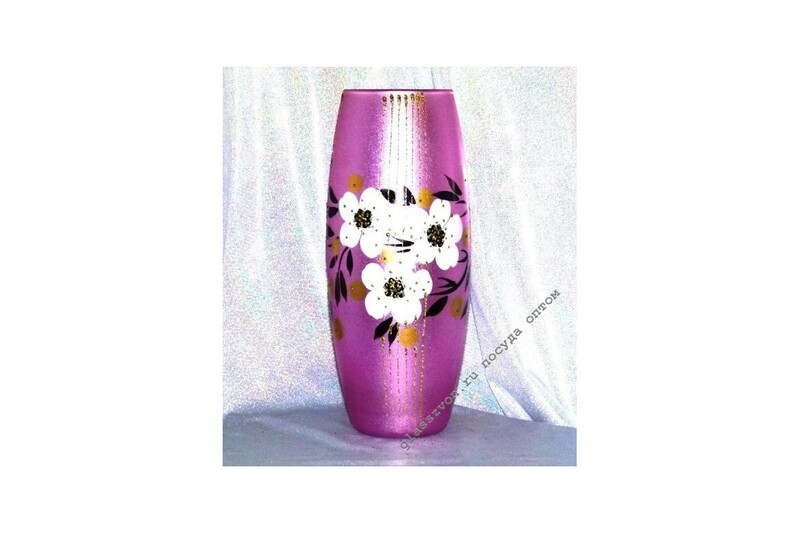 On the matte lilac background large white flowers are drawn - this is a glass vase "Jasmine". Pleasant soft shades and qualitatively executed art painting are very popular with retail buyers who want to make their home more comfortable and cozy. Therefore, the vase "Jasmine" is popular and stable demand, which positively affects the profits of our wholesale customers. 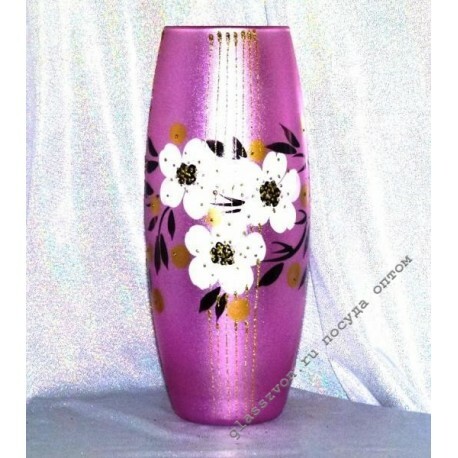 We offer glass vases from the manufacturer, so we have the lowest prices. But not only low cost makes cooperation with us pleasant: we provide accurate, fast delivery of orders to any city. You just need to place an order to diversify the range of your store and increase its profitability.